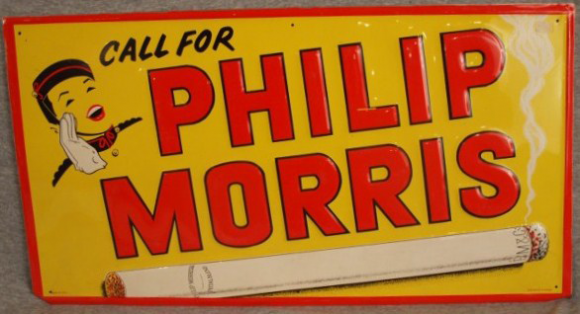 This is a rectangular Philip Morris porcelain sign. This particular Philip Morris sign is yellow with red and black text. It reads, “Call For Philip Morris” and features a woman calling out in the upper left corner and a large white smoking cigarette at the bottom of the sign.